Follow Sara on Twitter: @SaraLChapman Please “like” this book on Facebook! See the new Shows page for upcoming author appearances and jewelry shows. 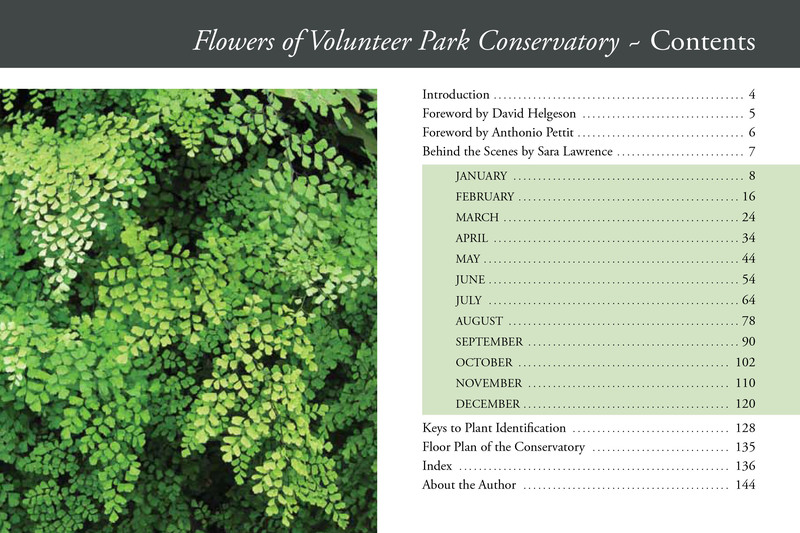 About the Book: Download a Sample Chapter-January-Flowers of VPC in PDF format of Flowers of Volunteer Park Conservatory: Blooming Month by Month. Viewing Note: To best view the chapter as it appears in the book, using Adobe Reader, on the top menu is “View.” Under that is “Page Display.” Select “Two-Up” and below that, CHECK “Show Cover Page During Two-Up.” This will ensure that the two-page spreads display as intended. Get the latest version of Adobe Reader here. Click here to read “Flowers” book reviews. 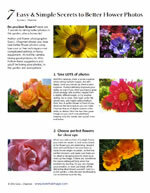 Download the Table of Contents-Flowers of VPC in .jpg format.